In my youth, I spent a lot of time in France. Camping with my parents, staying in the Alps with a French family in a vain attempt to improve my language skills and on various musical excursions to sing or play with French choirs or orchestras. 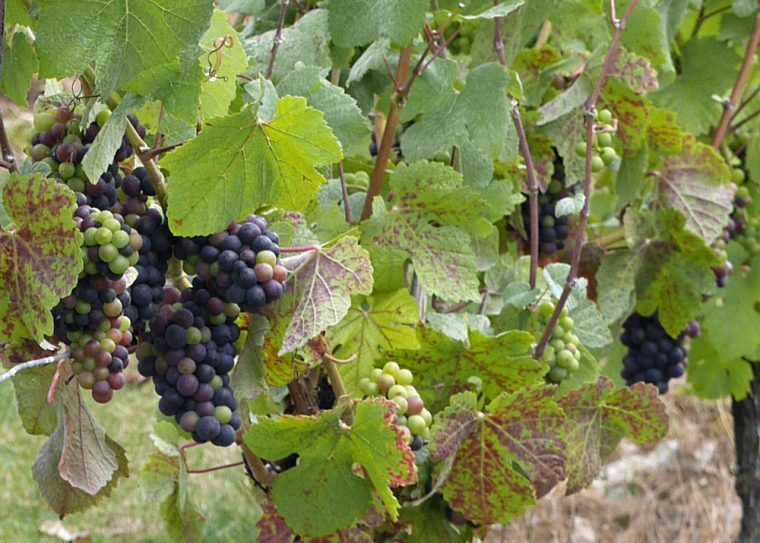 An early trip to the Loire valley cemented my love of wine – I can remember the car being stopped as we were driving into Angers, so the local winemakers could offer us tiny tasters of their produce and hand out leaflets to encourage us to visit their caves. Part of my fascination, I’m sure, was that there was nothing similar in England. How things have changed. 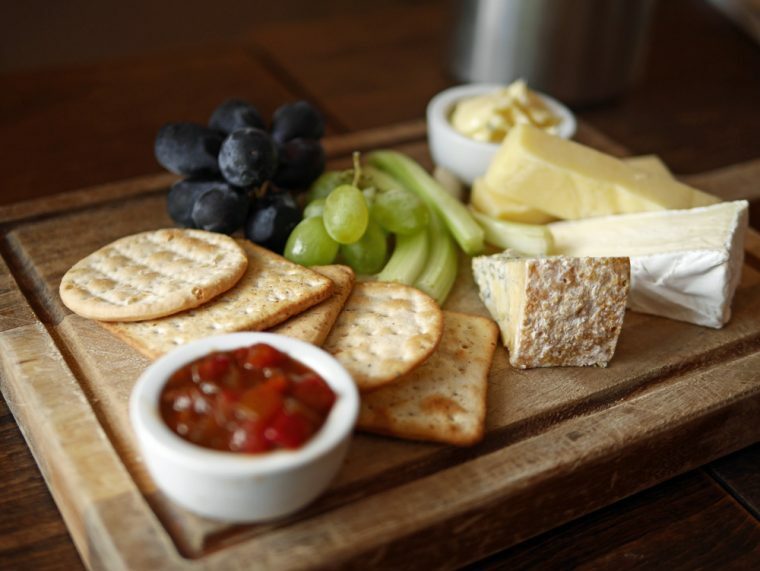 Now, if you are travelling in the South of England – Kent, Sussex, Surrey or even Cornwall, you can hardly miss the signs to vineyards and wineries. And, some of the wines which are being produced are remarkably good. I spent a day exploring one in Kent which was new to me. 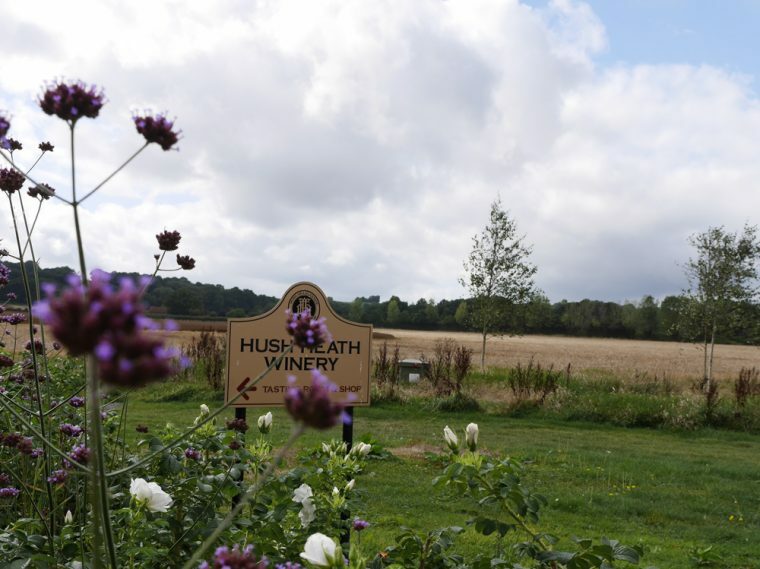 Hush Heath estate includes a vineyard, orchard, winery and a couple of charming country house pubs with rooms. What better way to pass some time than exploring the vineyards and orchards before moving on for lunch at the Tickled Trout, one of the pubs a few miles up the road. Hush Heath is the home of the Balfour-Lynns. 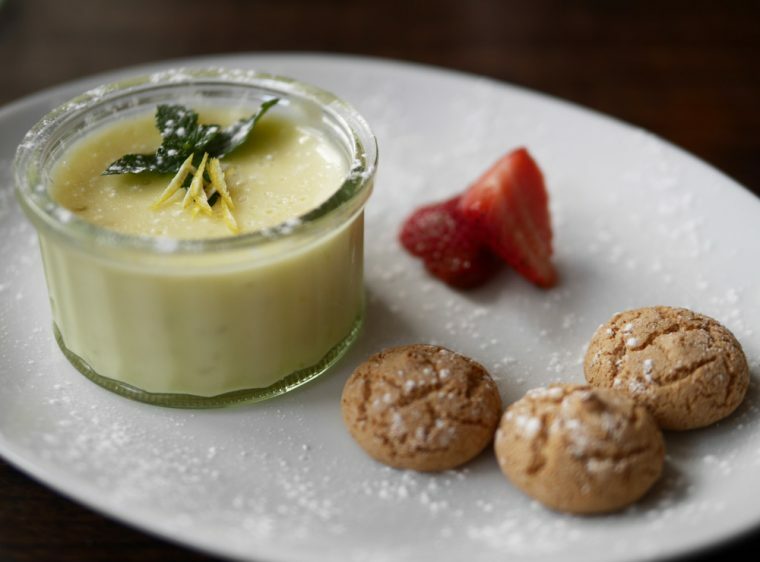 Perhaps best known for his role in establishing both Malmaison and Hotel du Vin, Richard Balfour-Lynn bought the Manor itself at an auction in the 1980 and spent four years restoring the building to make a family home. He and his team started planting vines in 2002 and the estate now comprises 40 acres of vines (Chardonnay, Pinot Noir and Pinot Meunière and a further 30 acres of apple orchards, planted with heritage English varieties – Cox, Russet and Bramley, all surrounded by a 200 acre oak forest which helps create a microclimate. The wines and ciders which result are splendid and a tribute to the family. 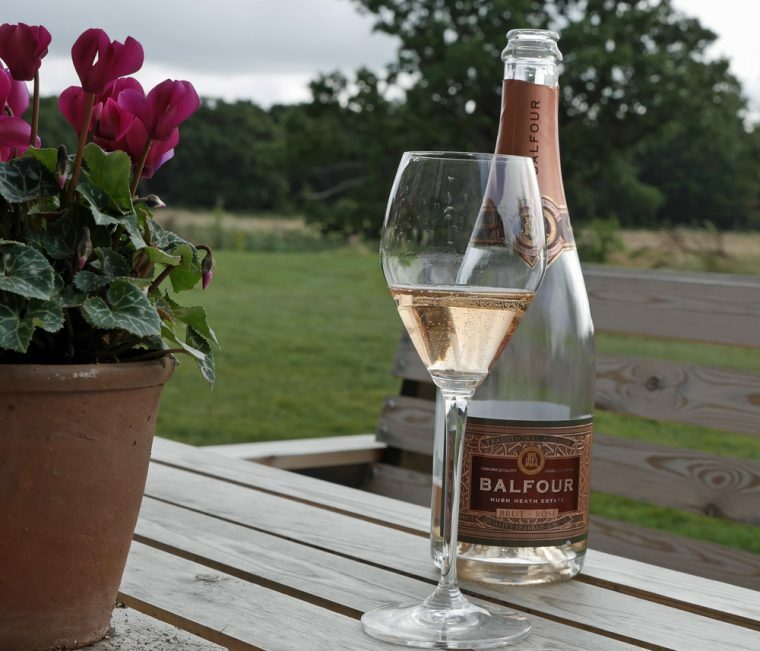 We started our tasting with the Balfour Brut Rosé 2011, a multi-award-winning signature wine that takes the Balfour family name. A lovely sparkling wine full of strawberry and soft fruit notes, it is elegant and vibrant. 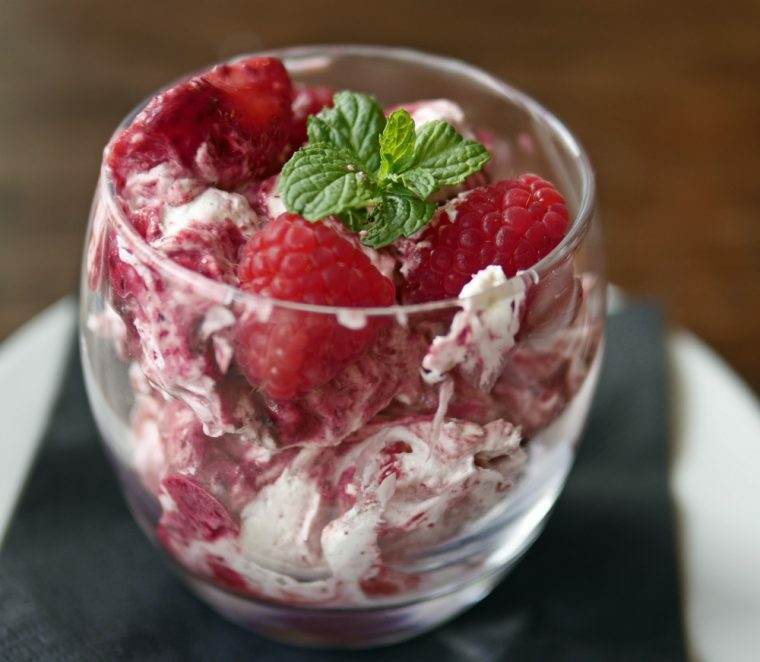 A blend of 40% Pinot Noir, 52% Chardonnay and 8% Pinot Meunier which would pair beautifully . It retails for around £35.99, but you’ll also find it on BA first class and the Orient Express. Next, the Balfour Leslie’s Reserve NV (£24.99) which is a classic English sparkling white Named after the producer’s wife, Leslie, it has that lovely brioche note on the nose, with a crisp acidity and taste of lime and redcurrant. For me, the still wines which followed were a revelation. 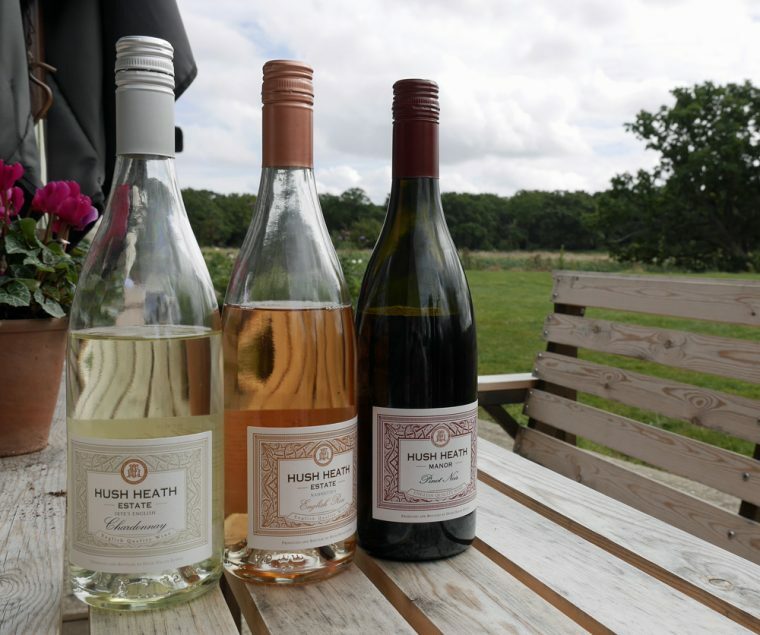 Hush Heath Pinot Noir(£23) is the first English red I’ve enjoyed, with a clean, cherry and red berry taste. Nanette’s English rosé (£15.00) is a classic provençal style rosé with the same taste of strawberries and ripe fruits that we found in the Balfour Brut Rosé Perhaps that’s not surprising since it’s made with the same blend of champagne grapes. Skye’s English Chardonnay is a light, citrusy white, Chablis style rather than being like one of the rich oaky chardonnays of the new world. On to a tasting of some of the ciders, two of which are made using the champagne method. 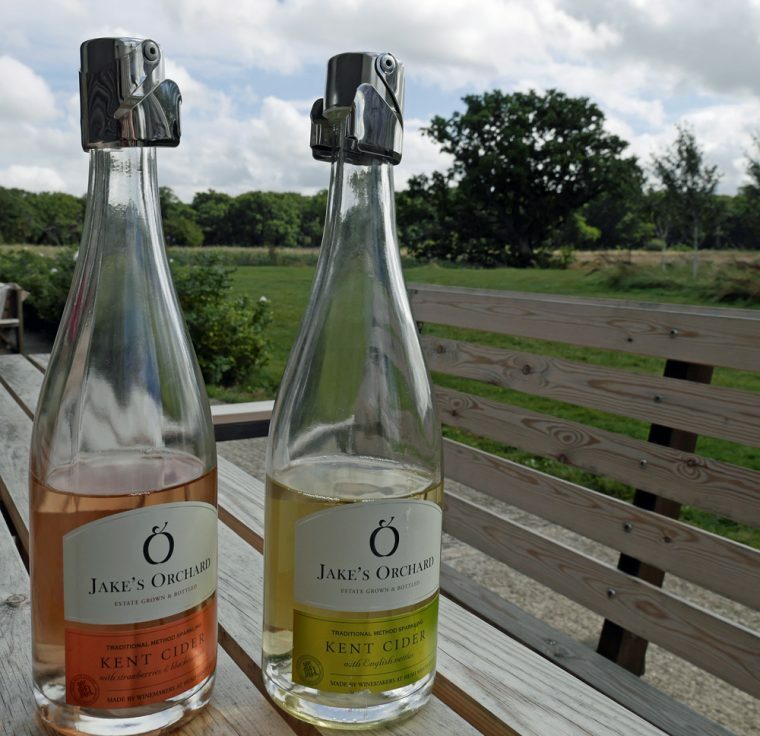 Jake’s Orchard comes as a pink sparkling cider, made by adding a dosage of English strawberry and blackcurrant. The result is a pale pink English cider with notes of green apple and spring blossom. The partnering sparkling cider has a dosage of English nettle and is altogether crisper and more full of apple flavours. I loved both and was tempted enough to walk away with a gift pack of a bottle of each (£25). They are nice enough to drink on their own, as an aperitif or paired with food. 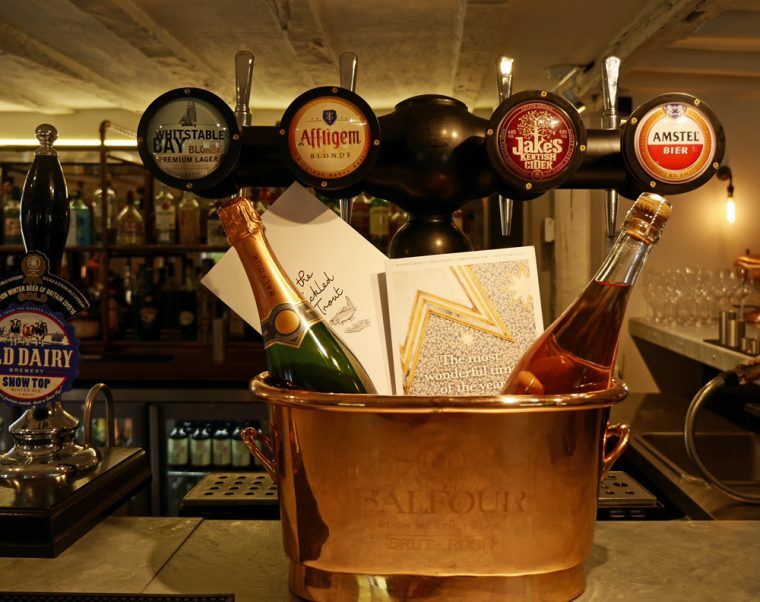 And, at 7.5%, they are, as the sales blurb says ‘England’s answer to Prosecco’ – for my money a better and easier drink and one which is lower in alcohol than wine. 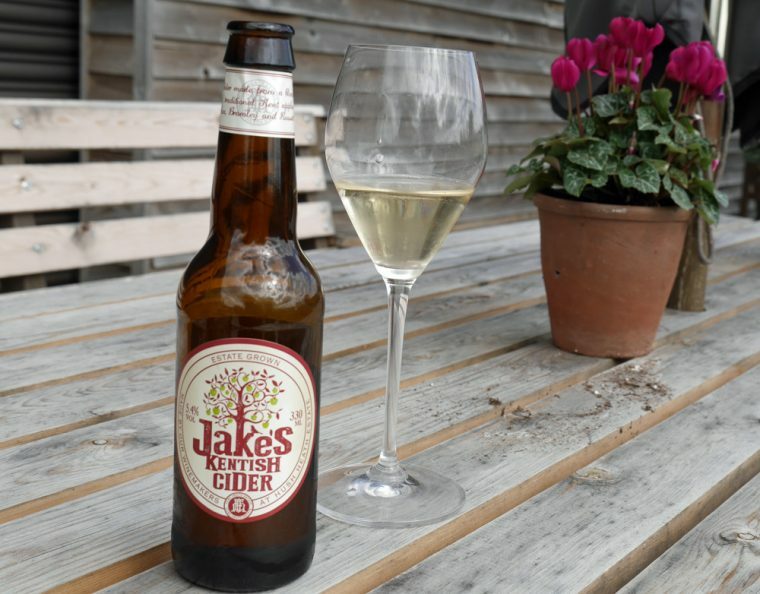 Jake’s Kentish Cider is produced using modern wine making techniques, a good example of a well produced commercial cider. 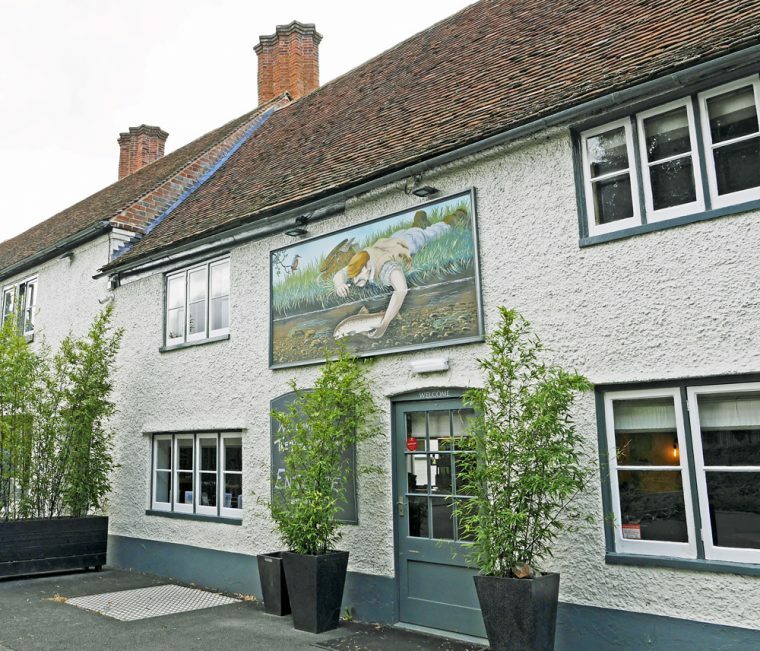 I went on to visit one of the local pubs – the Tickled Trout. 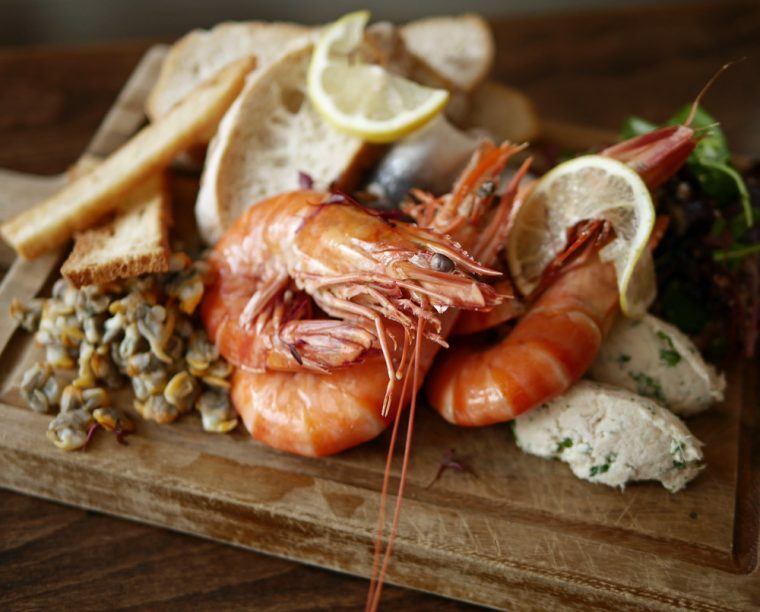 After starting with a welcome aperitif of Balfour Brut Rosé, we went on to enjoy ‘From the Sea’ (£15) – a board of delicious smoked trout paté, Atlantic prawns, cockles, pickled herring and garlic mayonnaise. As we were a group of three, we added in one more seafood dish in the form of seared fresh mackerel (£7) served with a rocket, shaved fennel and orange salad. 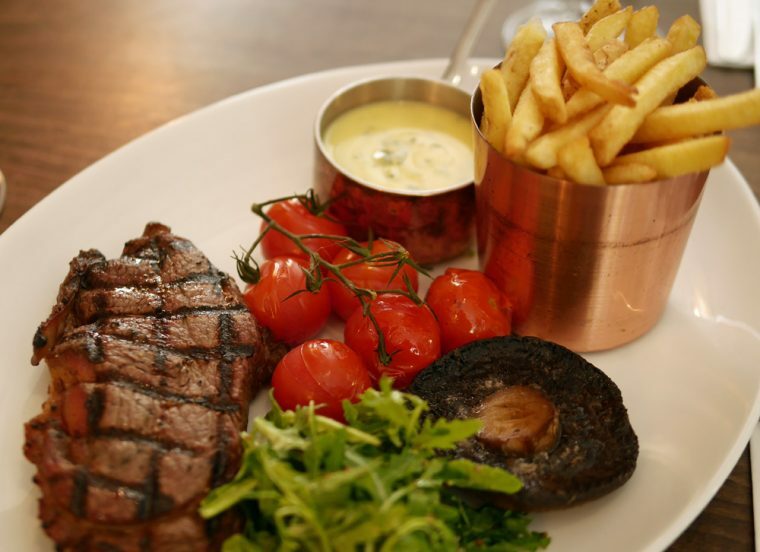 A good excuse for me to indulge in a steak…my dry-aged sirloin at £22 including chips and a small salad seemed like excellent value for the quality of the meat. 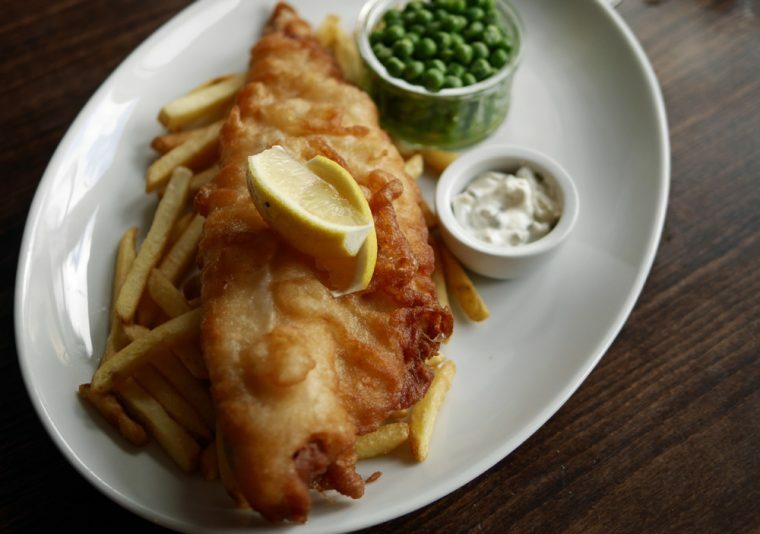 My companions enjoyed a fish pie and a classic fish and chips before we moved on to cheese and dessert. The selection of Kentish cheeses was, perhaps, a little disappointing and certainly needed to be served at room temperature. But, perhaps that was partly down to the time we were dining – we started our meal after 2pm. 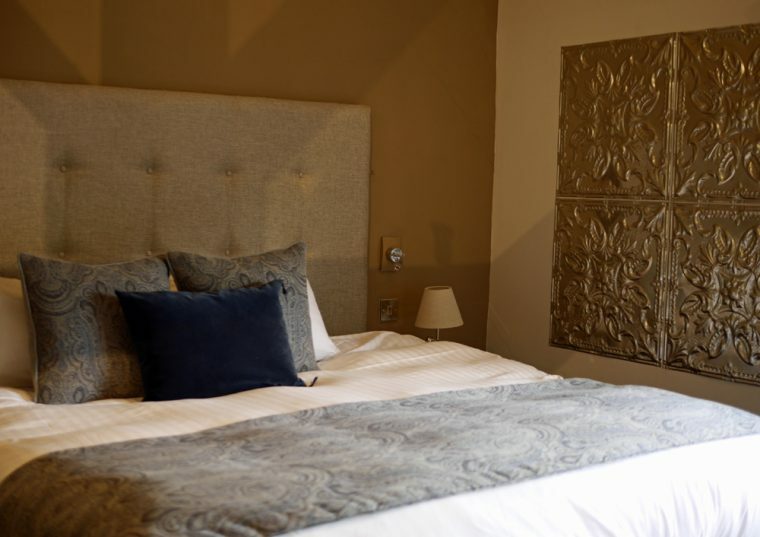 Upstairs there are a few, exceptionally well presented and comfortable looking bedrooms. Each has its own individual style and it is obvious that great care has been taken to make this feel like a home from home. 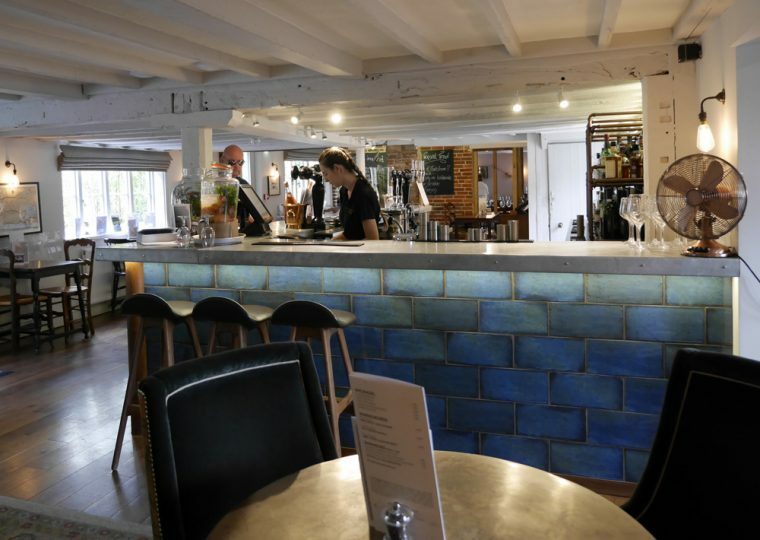 It makes the idea of a trip to Hush Heath with an overnight stay really appealing, whether you choose to base yourself at the Tickled Trout (just outside Maidstone) or at The Goudhurst Inn, in the eponymous village, which is a little closer to the estate itself. 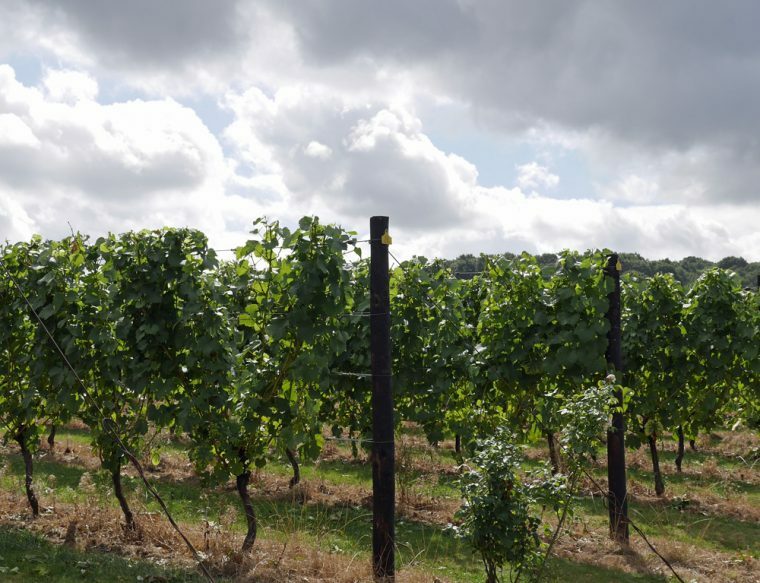 Self-guides walks around the vineyard are available without charge or the need to book, seven days a week from 11am to 5pm, including Bank Holidays. I’d recommend taking a guided vineyard tour (£15), to hear more about the history of the estate and get an understanding of how the wines are made. 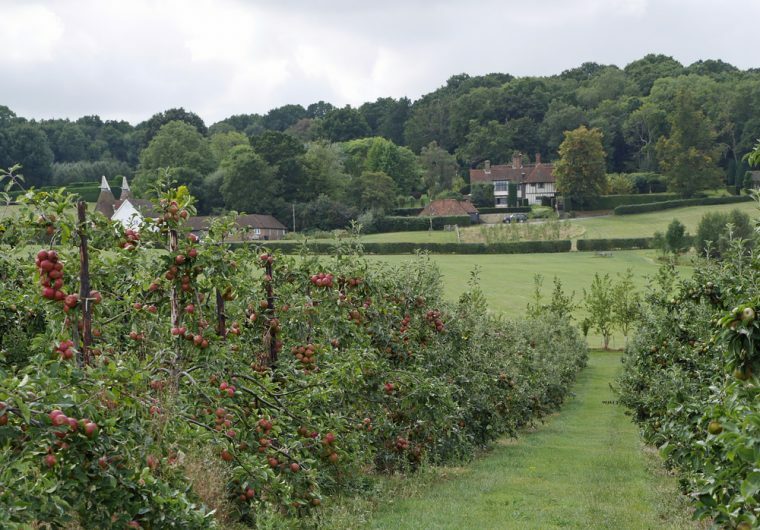 The Guided Tours finish with a tutored tasting of the range made on site, including the champagne method ciders which are only available locally. The estate offers lunch boxes too, which you should order in advance. I am hungry and that food just made it way worse. Now I need to go find a meal and make sure shrimp is on the menu today. Glad you had an awesome time. A beautiful place. I had no idea they made wine in Kent. Whenever I make it back to England I’ll have to make the trip. The view, wine and food all looks worth a visit. I would have never connected England with fine, delicate wine. 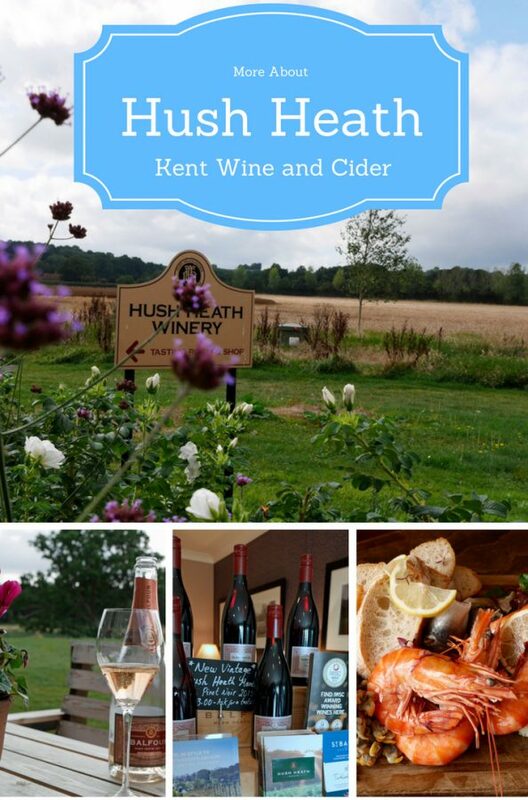 A vineyard tour would be fabulous, and who can resist a place called Tickled Trout? Love it! These wines all sound lovely! We’re moving to England next fall, so I’ll have to keep this winery in mind to visit. I had no idea England had a lot of wineyards, too. I always connect it more with cider and stuff, but after reading this post, I will see if they got wine from England in my favourite shop. Oh this place looks cool! I will be sure to stop in here as I’m not too far away. Great article!